Winter is coming… to Vancouver. 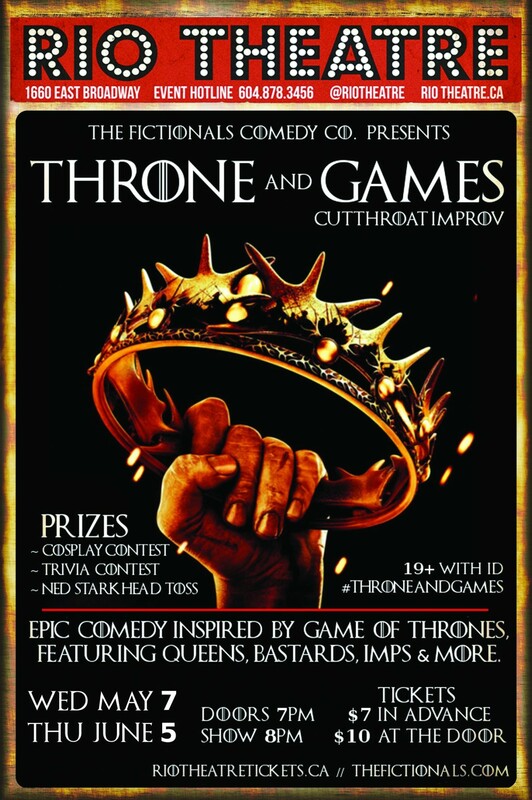 Professional comedy troupe The Fictionals are doing Game of Thrones Improv in a big way. Playing to a crowd of 200 on opening night, the improvisers knew the TV series inside and out, and wit was quick and flowing. I cannot wait to see how this new smash hit for The Fictionals continues to grow bigger and bloodier. On May 7, journey with The Fictionals Comedy Co. on a comedy adventure of CutThroat proportions. Inspired by HBO’s Game of Thrones and George R.R. 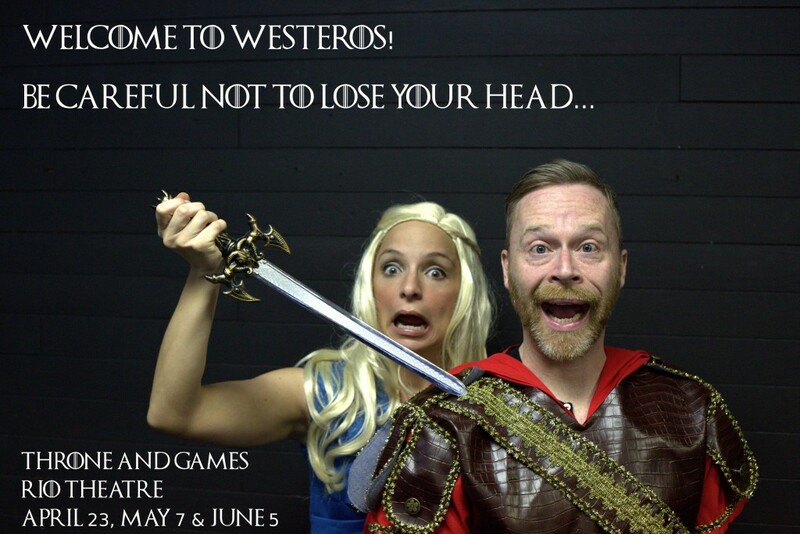 Martin’s A Song Of Fire And Ice, THRONE AND GAMES brings to life your favourite characters and showcases them in an entirely unscripted theatrical epic! This show is perfect for both huge fans of Game Of Thrones, and those who have never seen the show but are curious about the pop-culture phenomenon. Plus come dressed up in your finest Game of Thrones costumes and be prepared with your trivia knowledge for a chance to win some sweet prizes! Time: Doors at 7 p.m., show at 8 p.m.
Photo Credit: Travis Duncan Stewart.